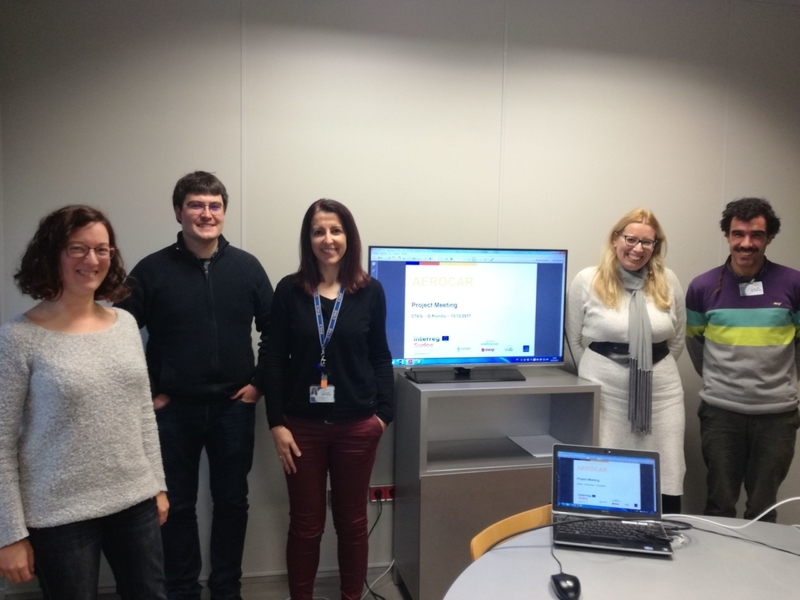 The members of the European project AEROCAR met on December 12 at the facilities of CTAG in Porriño (Galicia). 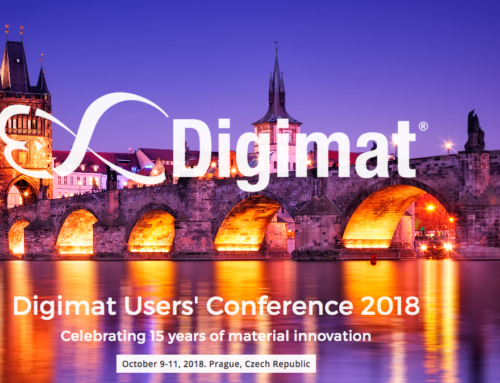 The meeting focused mainly on the prototypes to be developed in the fourth and one before the last phase of the project, which is expected to end in October of this year. 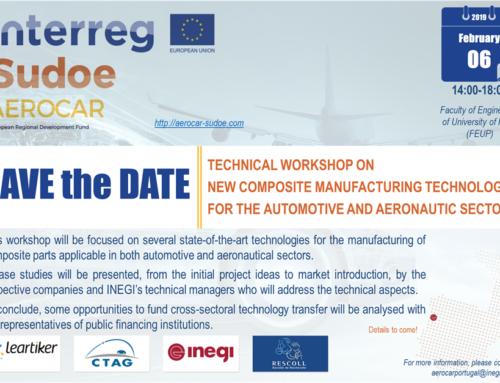 One of the objectives of the AEROCAR project, co-financed by the Interreg Sudoe Program through the European Regional Development Fund (ERDF), is the development of four prototypes: two from the automotive field that will be developed using aeronautical technologies and two from the aeronautics field that will be developed through automotive technologies. Hence, the project partners will have the collaboration of four companies from both sectors: Aernnova, Liebherr, Inapal Plásticos and Cikatek. 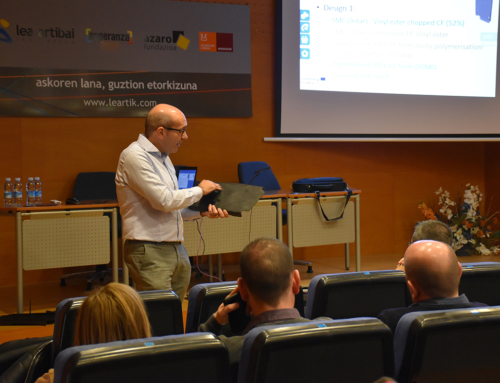 At the meeting, each partner presented its prototype to the rest of the consortium, explaining and discussing the ideas and the different methods and technologies that will be used for its development. Together with Aernnova, Leartiker will develop an intercostal girder, a structural part of the non-pressurized fuselage of the aircraft. Currently, this part is made of aluminum. 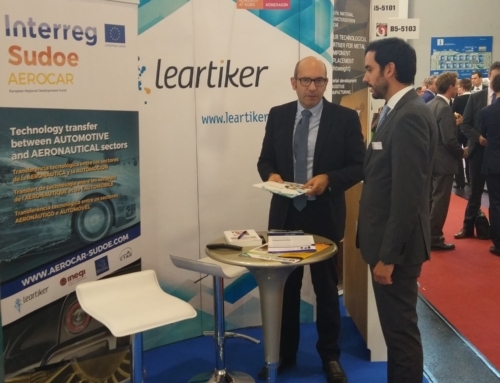 So, Leartiker will seek the substitution of this material by other lighter composites using all along the process technologies such as thermoforming and hybrid injection or over-injection, more typical of the automotive sector. Meanwhile CTAG, with the collaboration of Liebherr, will develop a valve body of an aircraft, a part that must be subjected to high temperatures, pressures and corrosive substances. Then, hybrid injection molding technologies that are used in the automotive field will be utilised. In collaboration with Inapal Plásticos, Inegi will develop a structural component of a car seat. In this case, it is a part that is currently manufactured using SMC technologies. The objectives are to reduce the weight while maintain the mechanical resistance and improving the exterior visual finish, which will be achieved using pre-pregs of carbon fiber, more typical in the aeronautical industry. Finally, Rescoll that could not attend the meeting but followed it closely online, will work with Cikatek in the research of the adhesion between composites and rubber. For these latter, they will develop a system of a car suspension in which they will substitute metal parts by others made of lighter composite materials. The adhesion on composite materials is a field widely studied in the aeronautical sector and in which Rescoll is a specialist. 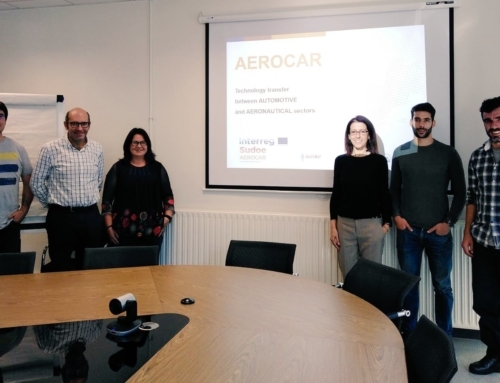 The development of these prototypes will be an essential step towards achieving the final goal of the Aerocar project: to promote technology transfer between the aeronautics and automotive sectors. Thanks to the development process of the prototypes in collaboration with the aforementioned companies, links have been established between companies and technology centers in Portugal, France and Spain. This will lead to synergies and a very beneficial technology transfer for the productivity of the SUDOE area companies.